Friends of the Earth (FoE) Canada is a charitable, non-profit environmental organization. Their mission is to give a voice to the environment, working with others to inspire and aide communities and the Earth through research, education and advocacy. The earthdancers have chosen Friends of the Earth Canada as a beneficiary since the very beginning! Vegetation Enhancement Technical Advisory Committee (VETAC) is working towards the recovery of self-sustaining, indigenous terrestrial and aquatic ecosystems in Greater Sudbury through the City's Regreening Program. VETAC also provides the community with opportunities to participate in this initiative by improving the environment at home, in neighbourhoods, and on public lands. 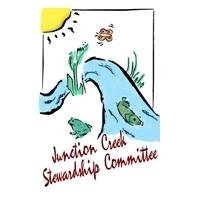 Junction Creek Stewardship Committee was formed in 1999. They're efforts are centered around restoring all life to the Junction Creek ecosystem: native wildlife, insect and plant life, and to improve the quality of life for humans as well. The committee co-ordinates citizen participation in environmental restoration and awareness activities in an effort to re-green lands adjacent to the creek, reduce soil erosion, re-engineer the creek bed and banks, and improve water quality. Wild at Heart Wildlife Refuge Centre has been a work in progress for over thirty years and is the only facility of its kind in Northern Ontario. Over 900 animals are treated annually, and the number of animals in need of help are continually increasing. These include songbirds, raptors, small and large mammals, reptiles, and amphibians. The earthdancers have supported Wild at Heart since 2012. The Trans Canada Trail is a not-for-profit organization, created in 1992. For 25 years, donors have kept alive the dream of building the longest trail in the world. The Great Trail now consists of more than 24,000 kilometres of multi-use trails, linking Canada and Canadians. Moving beyond 2017, Trans Canada Trail’s mission will be to continue to enhance and improve the Trail. 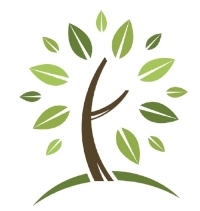 Founded in 1991 by Dr. Jane Goodall, Jane Goodall’s Roots & Shoots is a youth service program for young people of all ages. Their mission is to foster respect and compassion for all living things, to promote understanding of all cultures and beliefs, and to inspire each individual to take action to make the world a better place for people, other animals, and the environment. For 50 years, WWF has been protecting the future of nature.The world’s leading conservation organization, WWF works in 100 countries and is supported by more than one million members in the United States and close to five million globally. WWF's unique way of working combines global reach with a foundation in science, involves action at every level from local to global, and ensures the delivery of innovative solutions that meet the needs of both people and nature. Their mission is to conserve nature and reduce the most pressing threats to the diversity of life on Earth. The Roxborough Greenbelt is 3 hectares of greenspace bordering Junction Creek in a downtown neighbourhood. After three years of community effort, the Roxborough Greenbelt became a natural park in 2009. Friends of the Roxborough Greenbelt are neighbours and friends who worked to protect this special natural area, and now care for it with plantings and clean ups. They also get together for neighbourhood activities like egg hunts, Halloween walks, and potlucks. In 2006 the earthdancers supported the Earth Day Committee of Sudbury with a donation. Since then, the committee has been renamed the Earth Day Festival Committee of Sudbury. The committee works to organize and support Earth Day activities and celebrations in Greater Sudbury.